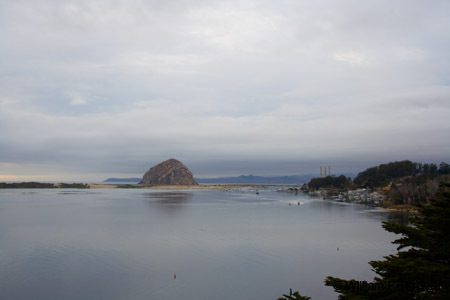 Morro Bay is a waterfront city in San Luis Obispo County. 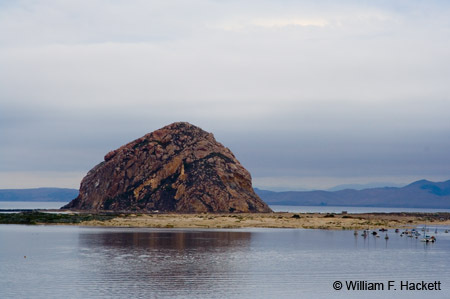 Morro Rock was named in 1542 by the Portugese navigator Juan Rodriguez Cabrillo. 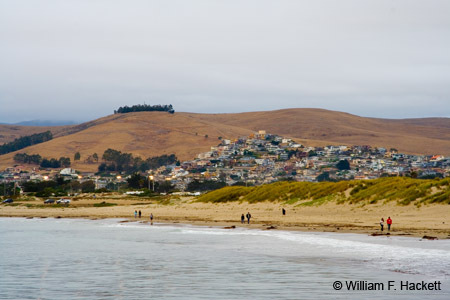 The town of Morro Bay has been a popular beach getaway since the beginning of the 20th century. Tourism is currently the largest industry. Morro Rock is 176m high and is a volcanic plug. The rock itself was quarried until 1969, and this fact is evident from portions of its surface. 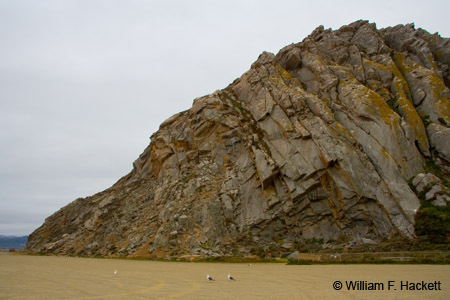 Although the public is permitted near Morro Rock, there is no public access to the rock itself, because it is a reserve for the locally endangered peregrine falcon. 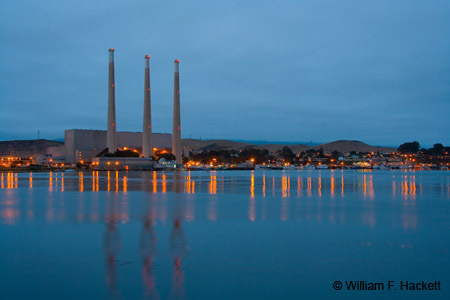 The Dynergy power plant is a notable feature of Morro Bay, with its three tall smokestacks, although the power plant itself operates at a reduced capacity. 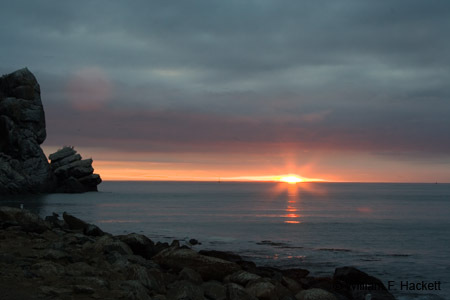 Morro Bay has an embarcadero with great seafood restaurants, and you can follow dinner by taking a stroll along the beach at Coleman Park or by watching the sunset at Morro Rock, with flocks of seabirds flying around and settling down for the night. You can view higher-resolution photos (*generally* 7-30 megabytes, compressed) at the Cheshire Cat Photo™ Pro Gallery on Shutterfly™, where you can also order prints and gifts decorated with the photos of your choice from the gallery. Apparel and other gifts decorated with some of our most popular photos can be ordered from the Cheshire Cat Photo™ Store on CafePress®. 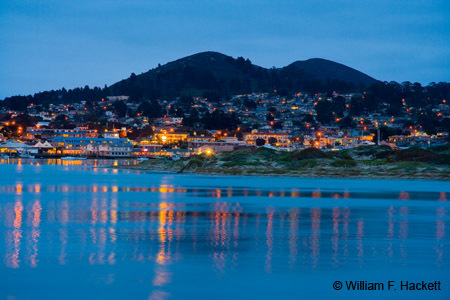 "Morro Bay" was written on December 3rd, 2007 by Bill, and filed under California,Photography.